dudes, chill out! everybody knows it's from "squirting", just get the bloody joke. 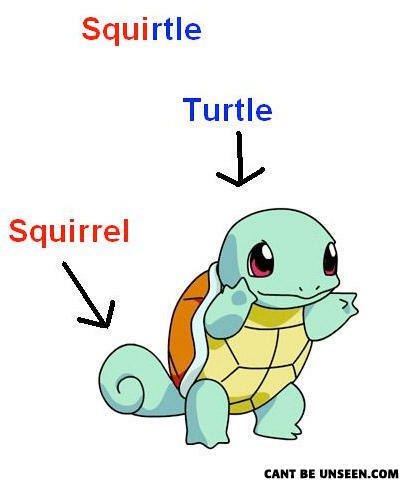 And here I always thought that Squirtle got it's name from squirting water... and that still seems more plausible. i agree that it it from squirt+turtle but this is still a nice observation. His tail is a wave. He SQUIRTS water. Who else pressed the random pic button and got here? What did the elephant say to the other elephant?